A successful Initial Targeted Engagement for Regulatory Advice on CBER products (INTERACT) meeting with CBER paved the way for the early product manufacturing activities and very early preclinical safety and efficacy evaluations. A pre-Investigational New Drug (Pre-IND) meeting provided additional clarity on the IND-enabling activities needed to support an initial IND submission in support of a Phase 1 first-in-human (FIH) study. Following the 30-day safety review period, CBER provided a Study May Proceed (SMP) letter allowing for the initiation of the Phase 1 FIH clinical study. After meeting these milestones, a celebration is in order; however, careful strategic planning for the continued development of the cell or gene therapy product (CT/GT product) is needed to bring these products to patients in need. Can the protocol be amended to add expansion cohorts to further evaluate the safety and preliminary efficacy of the CT/GT product? If so, how many additional patients can be added? At what point in development should vector shedding be captured and how much shedding data is required to be included in the BLA (biologic license application) shedding report? Can additional indications (i.e., specific solid tumor types, disease sub-types) be added to the ongoing Phase 1 FIH study? In disease indications that are considered rare diseases (orphan), can the Phase 1 FIH be considered a pivotal registration study? Can this be the only study needed to support a marketing application? If no, what about a single Phase 1 and a single Phase 3 pivotal study? Will CT/GT product manufacturing be able to keep up with the speed of the clinical development to support a marketing application under expedited timelines? Can long-term follow-up for potential delayed adverse events (AEs) from GT products be a post-marketing commitment? And how long is “long-term follow-up,” exactly? There are no quick and easy answers to the questions above. 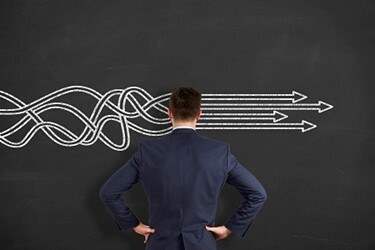 Reviewing guidance documents and available precedent, keeping a close watch on competitors, administering available funding, and managing investors’ and board of directors’ expectations, not to mention the rapidly evolving CT/GT product landscape, all factor into the strategic development plan. What was historically the path is no longer the path today. A quick and nimble approach is often sought after in the CT/GT product space due to the likely one-time or limited patient dosing and/or rare disease conditions limiting the number of available patients, which reduces the number of clinical studies. This quick and nimble approach can be a double-edged sword and can just as easily kill a program as it can expedite the path to commercial approval. In some cases, the standard step-wise approach in clinical development is warranted to avoid making early-phase studies too complicated and seem like they are never ending. The step-wise approach will also sync with manufacturing timelines better than an expedited development pathway. In oncology indications, adding various cancer types and/or sub-groups to early study cohorts may be beneficial when attempting to determine which specific tumor types the CT/GT product should focus on in subsequent clinical studies. With some neurodegenerative diseases, such as Parkinson’s disease, multiple sclerosis, and Alzheimer’s disease, there are clear stages of progression and/or sub-disease classifications within each disease. Under these circumstances, it may advantageous to have complicated study designs and heterogeneous patient populations in early-phase studies to cast the net wider for observation of potential therapeutic effects of the CT/GT product, as well as to eliminate tumor types or sub-disease classifications from future clinical studies when there is no biologic activity. In disease indications such as oncology and some neurodegenerative diseases, the more wide-ranging and complicated early-phase studies may be the better choice in order to inform late-stage clinical development. In the rare disease space, the FDA understands the clinical development limitations and that a traditional pathway may not be entirely possible due to the rarity of the disease. For example, it may only be feasible to have a small Phase 1 FIH safety study before progressing to a pivotal registration study. Given the limited number of patients available to participate and a likely expedited development pathway, sponsors often include additional measures of efficacy earlier in development to inform the design of a subsequent pivotal registration study. Under these circumstances, early discussions with the FDA become important to have buy-in and a mutual understanding of the expedited pathway. For GT products, it is important to obtain the FDA’s guidance and feedback, early, on the long-term follow-up (LTFU) duration, as each vector and/or plasmids has unique characteristics that would contribute to the required duration of LTFU. For example, the expectations for LTFU are vastly different for an adenovirus product, an adeno-associated virus (AAV) product, and a lentiviral product. Each of these specific types of gene therapy products will mean different LTFU timelines. Knowing the expectations for LTFU early in development will be useful for clinical study planning and for planning costs surrounding the clinical studies. In many cases, it is best to have discussions with the FDA as early as possible to get agreement from the agency on less traditional development pathways. The FDA, and specifically CBER, has taken tremendous strides to foster a more collaborative relationship with sponsors developing new and innovative therapies, because they too share the common goal of bringing new and innovative, safe, effective therapies to patients as quickly as possible. In 2018, CBER/OTAT released a suite of new and updated cell and gene therapy guidance documents to allow for clearer expectations and guidance on the development of CT/GT products. In addition, the FDA released a new draft guidance on master protocols: Efficient Clinical Trial Design Strategies to Expedite Development of Oncology Drugs and Biologics in September 2018 and also launched a new pilot program, Complex Innovative Designs Pilot Meeting Program, in which participating drug and biologic companies will have additional opportunities to meet with FDA staff to discuss the use of novel complex innovative trial designs (CIDs) for their clinical development programs. The new guidance documents and pilot programs are tools to help CT/GT product developers get to the finish line faster, thus allowing for faster patient access. These tools and pathways should be integrated into a CT/GT product’s strategic development plan and exercised when applicable. Nicole (Niki) Gallo, RAC, is a senior consultant at Halloran Consulting Group. She brings over 11 years of experience in the healthcare and pharmaceutical industries. Her experience spans multiple stages of drug development from executing early development strategies to supporting and executing marketing applications. Gallo provides development strategy, and regulatory support and management to clients. She has supported regulatory submissions for small molecules, biologics (both cell and gene therapy products), mABs, and combination products in the disease areas of solid tumor/hematology oncology, immuno-oncology, infectious disease, lysosomal storage disorders, microbiome disease space, and CNS diseases such as depression, schizophrenia, and Alzheimer’s disease. Julie Kristen Hagan, MS, is a senior consultant at Halloran Consulting Group. She has more than 13 years of experience in regulatory affairs and drug development. She has led the preparation of many successful IND applications at start-up companies as well as established companies and enjoys being involved in the early phases of drug development. Hagan has experience in gene therapy, monoclonal antibodies, and rare/orphan disease product development pathways. She also has experience interacting with CDER, CBER, the NIH/RAC, and the Biomedical Advanced Research and Development Authority (BARDA).